What’s better than one USB Type-C port on a laptop that can be used for everything from charging to data transfer to pairing your monitor with? Two USB Type-C ports of course, Google has just introduced an updated Chromebook Pixel that is now cheaper, more powerful and comes with two Type-C USB ports along with the standard USB ports as well. 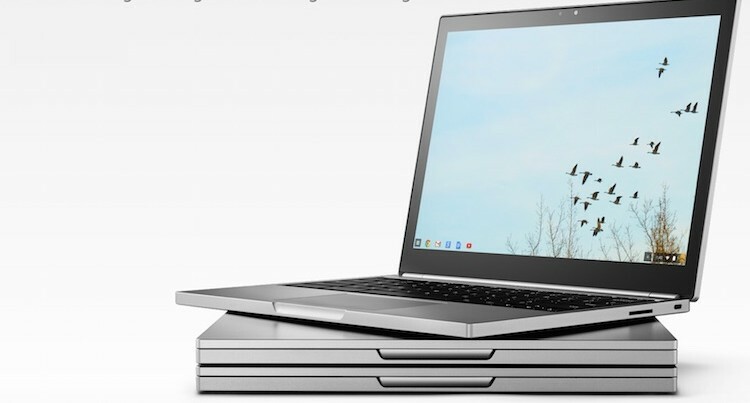 Retailing at US$999, the new Chromebook Pixel by Google looks almost identical to the previous generation Chromebook Pixel. It still features an aluminium build, and a 12.85 2560 x 1700 display (239ppi) on board. The biggest changes lies on the inside, it is now powered by the fifth-generation Intel Core processors and a much improved battery life that can last up to 12 hours. There’s also fast-charging on board that can get you 2 hours worth of power in just 15 minutes. There are two options to pick from, the lower end is powered by an Intel Core i5 processor clocked at 2.2GHz and 8GB of RAM, while the higher one has an Intel Core i7 processor clocked at 2.4GHz with 16GB of RAM. Other specs include Intel HD Graphics 5500, 32GB or 64GB of flash storage, touch display, 2x USB 3.0 ports, SD card reader, and of course, the two new USB Type-C ports that supports up to 4Gbps data, 4K display out with optional HDMI or DisplayPort adapter, and 60W charging. I guess we don’t have to say that USB Type-C will become a standard in the near future. In the same blog post talking about the new Chromebook Pixel, Google also mentioned that its will be using USB Type-C on its Android devices soon. Perhaps soon we will be able to use the same charging cable to charge our Android and iPhones. 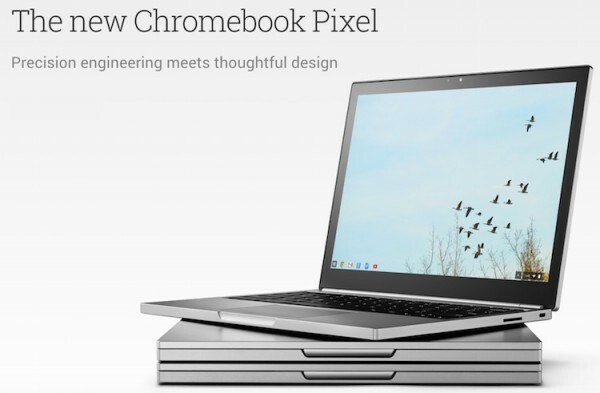 The new Chromebook Pixel is available for purchase in the U.S. starting today on the brand new Google Store from US$999.